Tricyrtis hirta is one of birthday flowers of October 9th. The language of the flower is "yours forever". 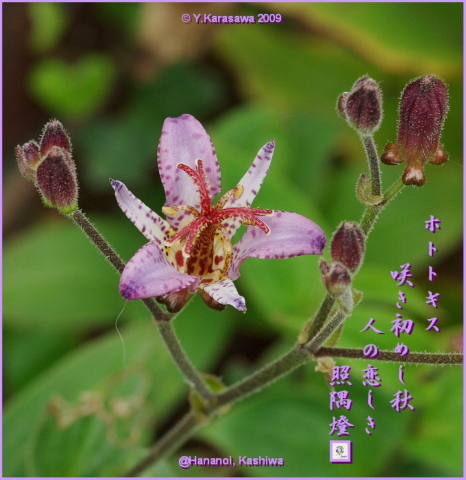 The flower of this photo is not Tricyrtis hirta but Tricyrtis formosana.